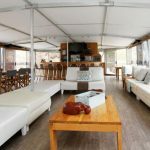 A uniquely memorable experience enjoying the best of nature from the luxury of our houseboats while cruising across the 16 000 ha of open water. Excellent Game Viewing and Bird Watching especially in the early morning and late afternoon. You might be fortunate to see black or white rhino, elephant, giraffe, zebra, hippo, crocodile, warthog, buck, a variety of bird life or the fireflies when you are moored in the gorge at night. This is truly a Birders Paradise with over 400 species. Tiger fishing, in the river and gorge. A crew who will take care of your every need. The most delicious meals and snacks with bottomless tea and coffee served throughout the day. A festive bar and great music for all tastes. Weather dependent, an evening of drinks on the lakeside around a bonfire. A real South African braai (barbeque) on the aft deck under the starlit African skies. A jacuzzi, fantastic opportunities for photography, conferencing or relaxing! Diverse scenery and landscaping including; the Lebombo Mountains, Swaziland, the Pongola River. Historical richness – The Lebombo Mountains are home to Dingaan’s Grave and Border Cave; a Middle Stone Age site. 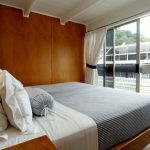 All of our cabins have fans and in the upper cabins there are extra length beds. The cabins on Shayamanzi ll are all air-conditioned. 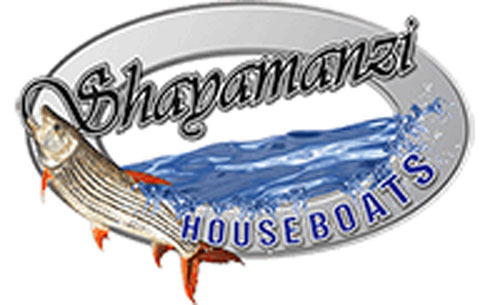 Shayamanzi Houseboats now operate from Jozini Tiger Lodge. Enjoy a warm welcome and delicious lunch on their pool deck overlooking the houseboats and Jozini Gorge. Jozini Tiger Lodge has ample secure parking space for vehicles and trailers. Self-catering options are available on exclusive charters;Shayamanzi also allows guests to bring their own favourite food. The onboard Chefs are on hand to prepare and serve all meals for you. Guests can also bring all their own drinks. 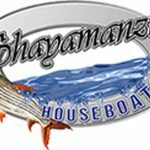 Shayamanzi provides fridges, barmen and a limited amount of ice per cruise. Additional ice will be for the guests’ account.